Blame it on the temperature. Winter in Canada is no time to sell convertibles, even the hardtop variety. Total combined sales of the Volvo C70, Mercedes-Benz SLK, Porsche Boxster, Mazda Miata, and BMW Z4 were only 42. 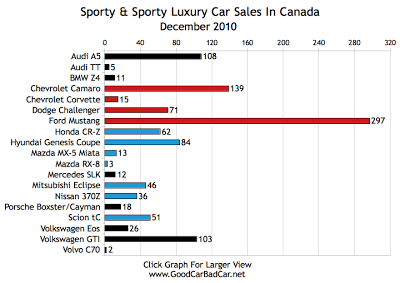 Compare that with the 60 BMW Z4s and 82 Mazda Miatas sold in June 2010. Attributing blame to a Canadian winter doesn’t cover the whole story, however. BMW Z4 sales were down 76.6% from December 2009; SLK sales dropped 33.3%; MX-5 Miata sales were chopped in half; Boxster sales were down 63.6%. 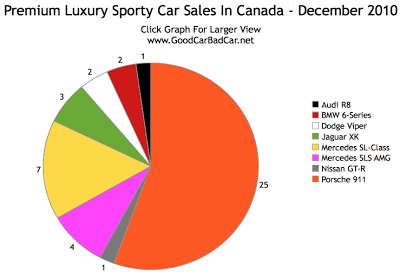 Meanwhile the largest SUVs in all four of those showrooms – BMW, Mercedes-Benz, Mazda, and Porsche – all posted significant increases over December 2009. 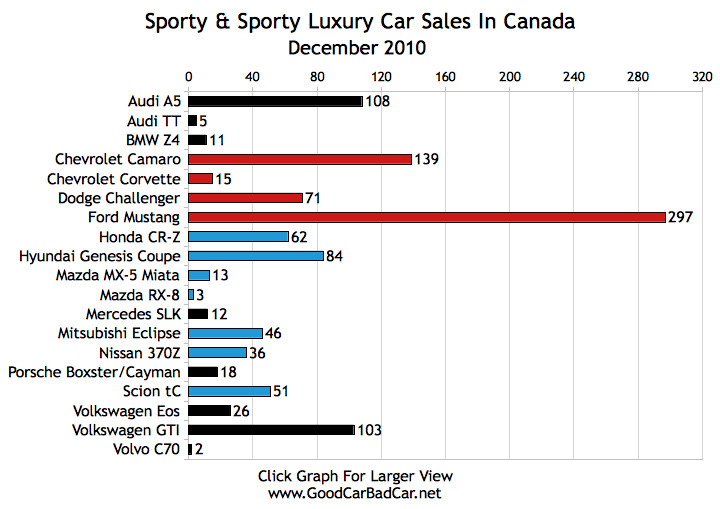 More expensive sporty machinery wasn’t exactly flying off the lots in December 2010, either. The Graph below only shows 45 sales of the eight models being tracked, down 35% from the month prior. This all happened in a market which only dropped by 3.7% from November. 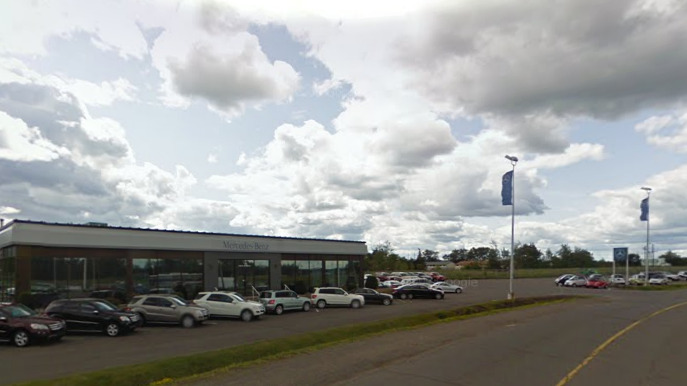 You tell me: would you feel like dropping $126,000 on a 2011 Mercedes-Benz SL550 at a Benz dealer in Thunder Bay, Ontario, just before Christmas? I thought not.